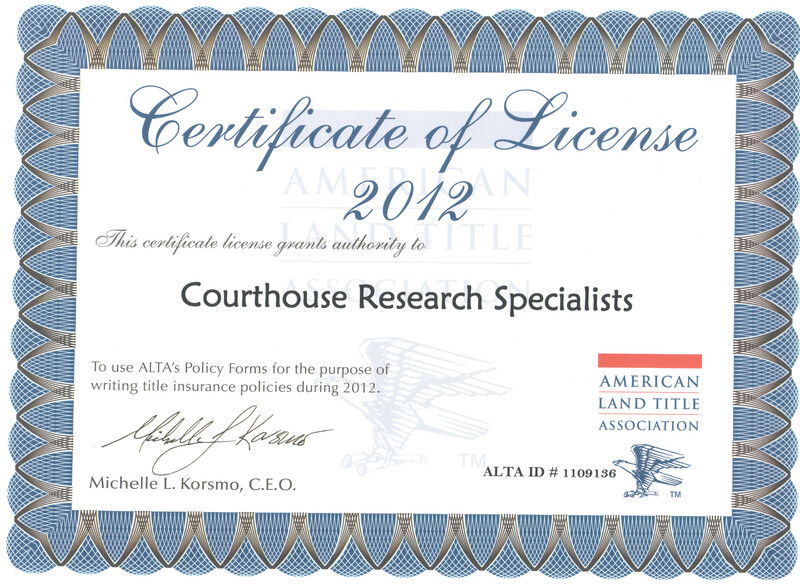 Please contact Courthouse Research Specialists for title research and abstracting questions, help, service, and advice. Please use this form to send us your message. 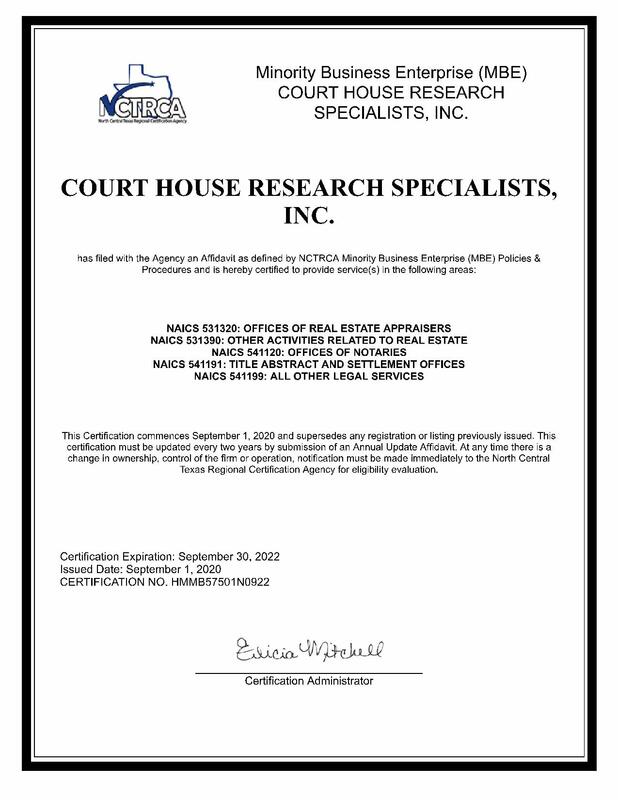 Whilst every effort has been made to ensure the accuracy of the information supplied herein, Courthouse Research Specialists Inc. and affiliates cannot be held responsible for any errors or omissions.